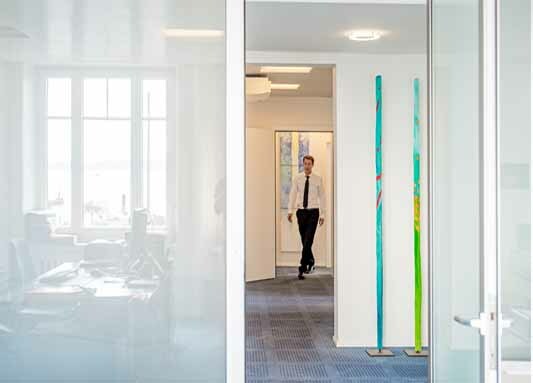 With offices in Biel/Bienne, Neuchâtel and Solothurn, we offer our services in French, German and English. F&P Services SA and its Neuchâtel subsidiary Dynafisc SA, hold through their fifteen employees, an extensive expertise in the fields of financial consulting, tax expertise, administrative and accounting services. Our collaboration with Frôté & Partner SA and Schoeb Frôté SA enables us to broaden our expertise to all legal and financial domains. Our clients are individuals, as well as SMEs or international groups. As part of its work, F&P Services SA enables to manage all or a part of administrative, management or accounting work and offers an advisory service in the fields of financial management and taxation by adapting to clients’ needs. So, the mandates entrusted to F&P Services SA may for example be limited to keep an accounting or include the entire administrative management of a client. F&P Services SA and its Neuchâtel subsidiary Dynafisc SA, hold through their fifteen employees, an extensive expertise in the fields of financial consulting, tax expertise, administrative and accounting services. Our collaboration with Frôté & Partner SA and Schoeb Frôté SA enables us to broaden our expertise to all legal and financial domains. Born in 1975, Raphaël Queloz founded F&P Services SA in 2002 with Frôté & Partner SA law firm after having held the position of director with the fiduciary Probitas SA. Managing director and director of the fiduciary F&P Service since 2002. Head of the « Administrative services » branch of F&P Services SA. Accountant with KPMG SA in Biel/Bienne from 1996 to 1997. From 1997, accountant then from 2000, director of the fiduciary Probitas SA. Member of various audit committees. Born in 1955, Blaise Girardin joined the board of directors and management of F&P Service SA in May 2017 after more than 35 years with PricewaterhouseCoopers (PwC). From 1999 to March 2017, he held the position of « Assurance » Director and was responsible for the audit mandates of compensation funds and pension funds at the Neuchâtel’s office. His experience enables F&P Services SA to expand its activities in the field of financial management advice, project monitoring and controlling. Executive Director and Head of the F&P services SA « Consulting » service since May 2017. Auditor with PwC from 1980 to March 2017, « Assurance » Director at the Neuchâtel’s office from 1999 to March 2017. Responsible for the OASI/II/EO compensations funds’ audit mandates. Responsible for 2nd pillar pension funds’ audit mandates. Responsible for audit assignments in the national and regional industrial and services sectors. Member of the Swiss Expert Commission for the OASI compensation funds auditing practice from 1995 to March 2017. Member and President of the Neuchâtel’s Accountants Association from 1992 to 2000. Lecturer for the training of accountants on behalf of the EXPERTsuisse Academy from 1996 to 2002. Expert at the accountants’ federal examinations and at the Business School of La Neuveville. Born in 1951, Mr. George Berthoud has joined the board of directors and the executive board of F&P Services SA in January 2019. In 1990, he founded the company Dynafisc SA, after having held various positions in the auditing and consulting companies Arthur Andersen and KPMG. The company Dynafisc SA has been integrated into F&P Services SA per 1 January 2019 with the objective of making its long-term future durable as well as increasing and pursuing the development of the activities of F&P Services SA in Neuchâtel. Mr. Berthoud is mainly active in the fields of tax and commercial law, administration of companies as well as accounting services.